EC 108 Ruffles Umbrella Closing – Α.Ν.ΚΩΣΤΟΠΟΥΛΟΣ Α.Ε. 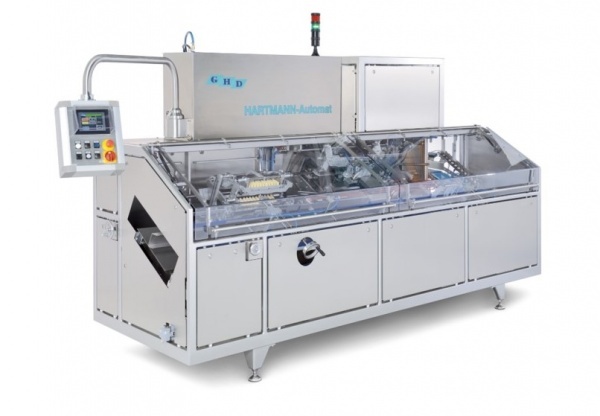 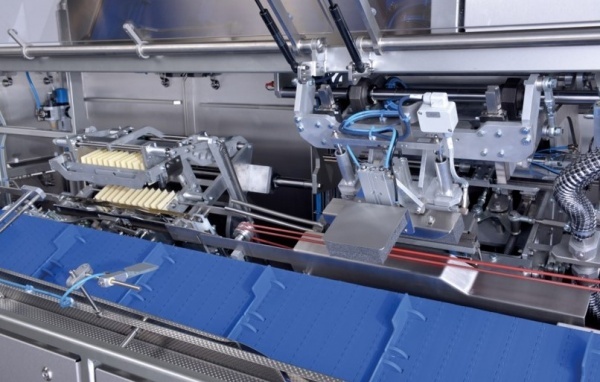 This machine consists of an automatic infeed and stations for sealing the bag arranged at right angles. 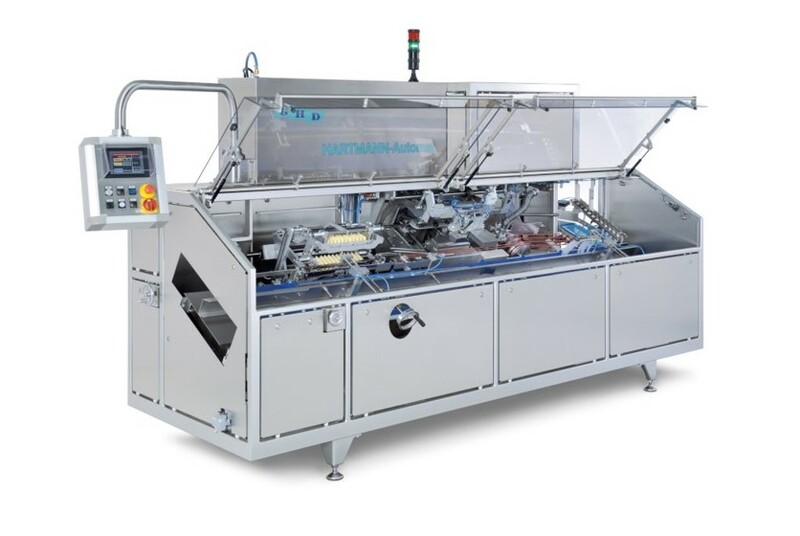 This station contains several components: a sealing station for filled plastic bags and a folding and closing station for producing a bag ruffle fan. 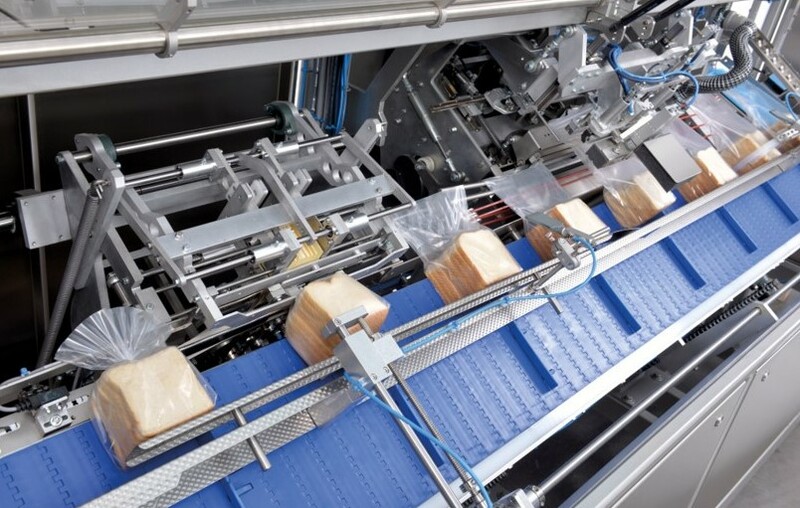 Various products, such as whole loaves or sliced bread loaves, can either be automatically or easily placed into pre-made bags by hand, and positioned on the product conveyor belt, which is set at a 20° angle of inclination. 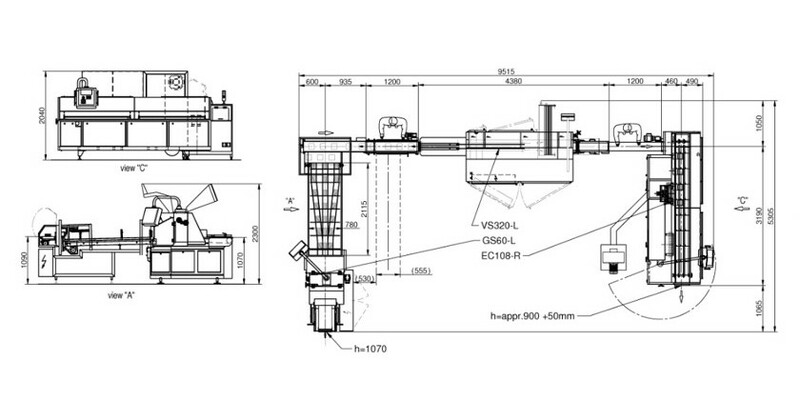 A special device gathers the bag ruffles in an even formation and affixes the ruffle with an additional clip. The result is an optimally sealed and optically high-quality product bag.